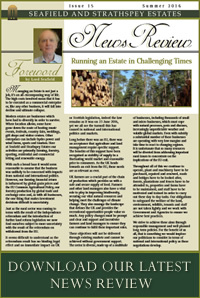 It is an ever-increasing challenge to balance rural business interests with the conservation of our natural heritage. We believe that the countryside can deliver multiple benefits to both business and the public, while preserving the habitat and heritage for future generations. We strive to achieve these aims through responsible land management and well planned long-term policies. 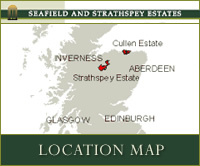 The management of Seafield and Strathspey Estates is centralised at the Seafield Estate office at Cullen with supporting staff at Grantown-on-Spey. Although total annual turnover is in the order of £6.8m*, there are high levels of skill and professionalism required in management as well as considerable annual maintenance expenditure and capital investment. Consequently the resulting net financial yield is low when compared with the value of the assets involved. The estate employs 12 people in farming (7 part time), 2 in sporting and 11 in management and administration. 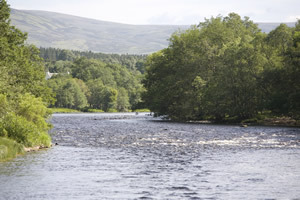 The higher land of the upper Spey valley has smaller agricultural units with sheep and cattle the predominant mix. 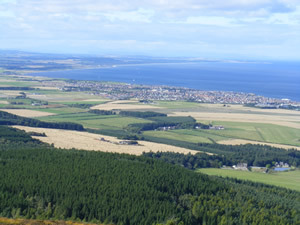 The Seafield family has grown timber for many generations and some parts of the estate are famous for including remnants of the old Caledonian Pine Forests that used to cover most of Scotland. Over 14,220 acres (5,750 hectares) of estate land has been designated Sites of Special Scientific Interest (SSSI). There are small sites at Loch Vaa and Moidach More with the largest being the Cullen to Stakeness coastal site and Kinveachy. Because of Kinveachy's unique habitat, under the European Natura 2000 Directive, part of this area has been designated a Special Area of Conservation (SAC). 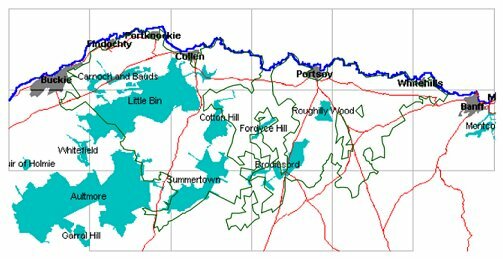 The area has also been classified as a Special Protection Area (SPA) supporting 13% of the total world population of Scottish crossbill and 3% of the British population of capercaillie. 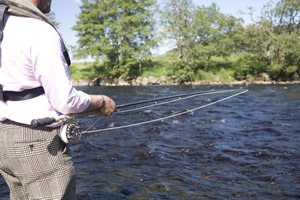 Craigellachie National Nature Reserve near Aviemore is owned by the Estate but managed by Scottish Natural Heritage. 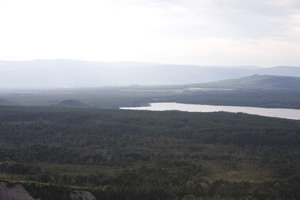 The estate recognises the importance of these sites and incorporates their protection into its management policy, and in partnership with Scottish Natural Heritage (SNH) and Forestry Commission Scotland (FCS) has a 10 year programme for Kinveachy set out in a comprehensive Deer Management Plan to deliver re-generation of the Caledonian Pine and other conservation objectives. This activity is receiving funding support from SNH and FCS. 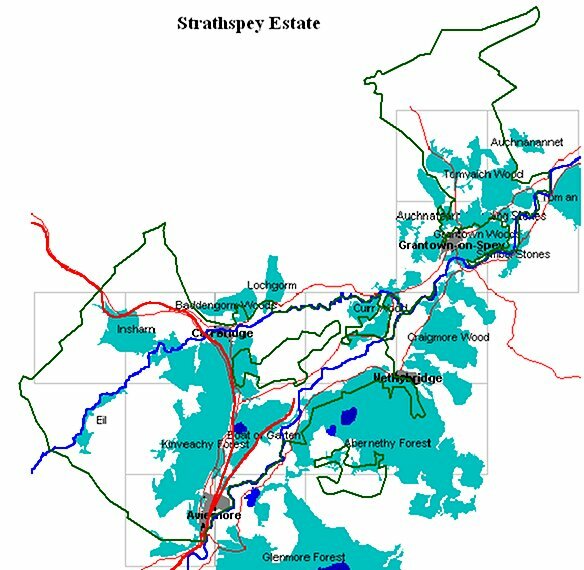 The Seafield and Strathspey Estates News Review lets those who live and work on the Estates, and those who come into contact with staff and management on a regular basis, know more about what we are doing and the projects in which we are involved. Click here for our latest News Review or to browse our archive.